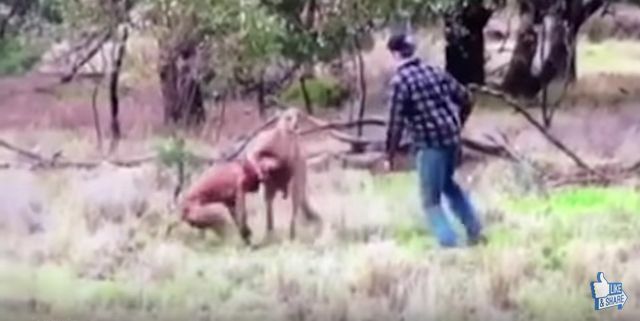 In the video, the man jumps from a truck to save his dog from the kangaroo. 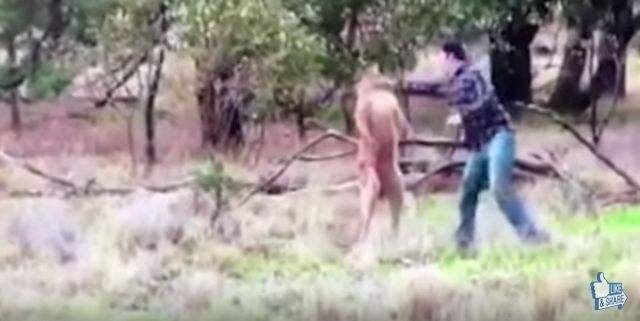 The man jumps rushes into bushland and approaches the roo and the dog. The roo is holding his dog in a headlock. The man then throws a punch at its face and connects.